Bob Giguere is an award-winning producer with over 29 years of television experience, including documentary and current events programming. He has won numerous Emmy awards for his social and environmental documentary work. His credits include nationally distributed programs: The National Parent Quiz, Releasing Dolphins, The Rock & Treating Addiction for PBS, Diving Deep for National Geographic Explorer and, most recently, In Marjorie’s Wake for Equinox Documentaries. Bob is an avid scuba diver with over 25 years experience and holds certifications from YMCA, NAUI, NOAA & NSS-CDS, & NACD. His dive experiences are varied from the cold depths of the Gulf of Maine to the warm waters of the Caribbean. 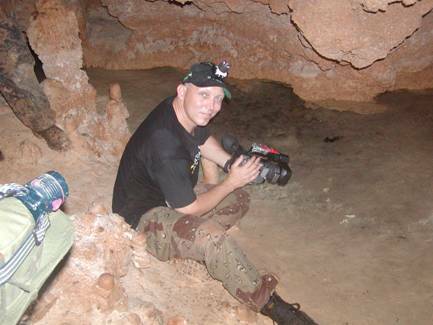 His cave diving exploits have included cave systems of Florida, Mexico and Bermuda. 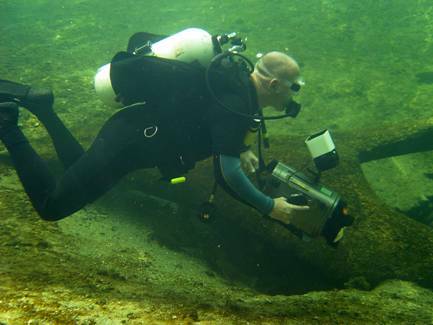 Bob served as Executive Producer, Producer and Underwater Videographer for award-winning bGenesis projects, In Search of Xanadu, Conch Cowboys, and WEKIVA: Legacy or Loss?. His latest documentary, In Marjorie’s Wake is currently released nationally via PBS. His directing resume includes numerous PBS shows, a Firefighter Training DVD series, National Geographic actuality development and a Christian film, Our Father’s World. His videography resume includes programs for PBS, Starz TV, National Geographic, Discovery Channel Online and the Women’s Entertainment Network. He currently runs his own production company, bGenesis, LLC, in Orlando, is the co-founder of non-profit Equinox Documentaries, Inc., and is an adjunct professor in the Film Department at the University of Central Florida in Orlando, Florida.